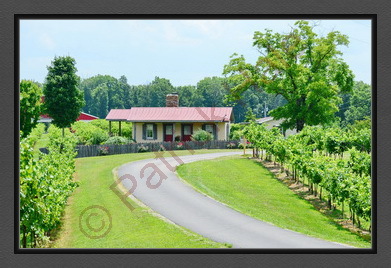 I visited a smaller winery called Amber Falls Winery & Cellars. 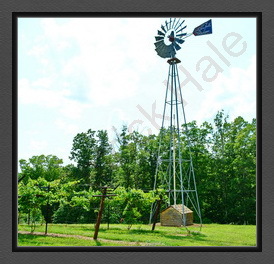 The winery is a little off the beaten path, but you won’t be disappointed when you arrive. The production facilities and activity center, literally at the end of the road, are nestled into some trees. 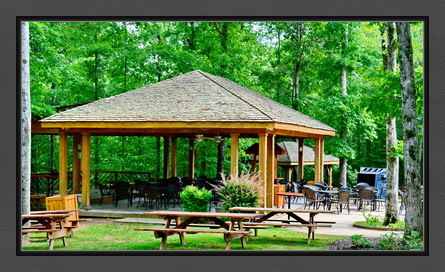 The atmosphere is peaceful and bucolic, perfect for tasting wine. While I was there, I met Seth Wiebe, the Assistant Winemaker. 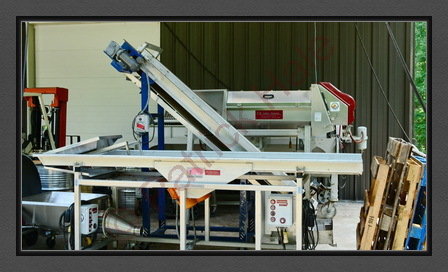 I had the good fortune of visiting during a lull in both wine production and in visitors. Seth was kind enough to show me around. He answered all of my good and not-so-good questions on production in particular and winemaking in general with grace, humor, and candor. 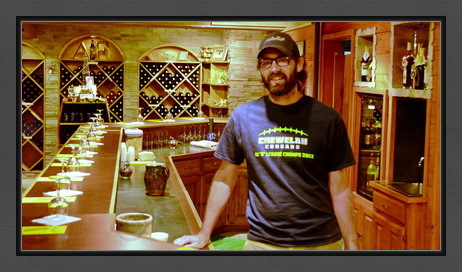 If everyone who works there is as passionate and knowledgeable about wine as Seth, Amber Falls has a very bright future. Amber Falls currently has 10 acres under cultivation. 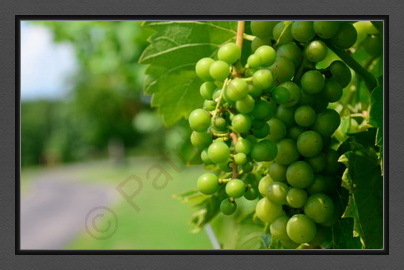 They grow 8 different varieties of grapes and plan to expand over time. As you’d expect, they stress quality over quantity when it comes to their wines. They also host a number of activities (outdoor concerts and such) and encourage people to attend and join in the fun. Their largest event is the annual Cajun Fest held over Memorial Day weekend. As an interesting aside, all of the wood used in the cellars was cut and hewn into lumber on-sight. This environmentally aware effort allowed Amber Falls to take advantage of the wood already on the property. The result is very interesting. Take a moment or two to examine the wood in the cellars and you’ll see the skill of the craftsman and the touch of his hand. 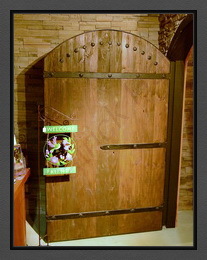 The tasting room is located in the cellar and offers a wide variety of their wines. Along with the usual suspects (Cabernet Sauvignon (red) and Pinot Gris), Amber Falls also has some wines that are very distinctive. Their Chardonel is a fine wine with just a hint of sweetness that sits well on the tongue. The Raspberry Romance is a sweet wine loaded with fruitiness with some complexity. Cranberry Caress is also a sweet wine whose names describes what it does in your mouth. The wine caresses your palette to the point that swallowing it is a difficult decision. The Peach Persuasion is a sweet wine that provides plenty of fruitiness with soft, mellow edges that don’t intrude at all. The Cajunfest is loaded with so many flavors that it’s difficult to separate them on the palate. If you’re looking for a wine that truly puts a party in your mouth, Canjunfest just might fit the bill. Creekside is a delightful wine that is well-rounded and behaves like a well-orchestrated symphony, with nary a wrong note. The only downside to Creekside is that it’s only available at the winery. If you get the chance, please try this wine. I would be remiss if I didn’t mention meeting Vinny. He zoomed across the road, in front of the car, in hot pursuit of a squirrel. Then he stopped, trotted back, and waited beside my car. When I got out, he greeted me like we were long, lost friends and walked me to the door. I patted his head and told him what a good boy he was. 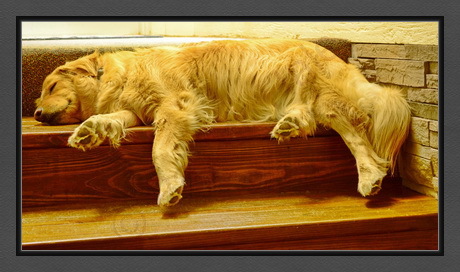 He smiled his approval and his tail wagged his acknowledgement of my keen insight. Vinny was a stray who found a home with one of the workers at Amber Falls, but he didn’t get along with the another dog. So, the employee brought Vinny to work one d ay, and the rest, as they say, is history. I don’t know if Amber Falls has an official mascot, but, in my opinion, Vinny is clearly up to the challenge. If you visit, make a point to keep an eye out for Vinny. He’ll be waiting for you, with his tail wagging. When he’s not enjoying a well-earned nap on the stairs. 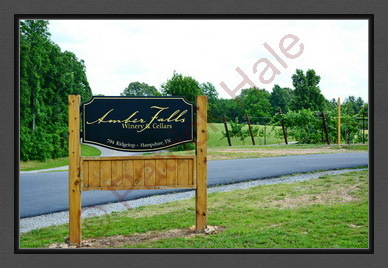 If you’d like more information about Amber Falls Winery & Cellars (794 Ridgetop Road, Hampshire, Tennessee 38461), please check out their website at amberfallswinery.com or give them a call at 931.285.0088. You can email them at wine@amberfallswinery.com. Reminder: Please remember that peoples’ tastes in art, music, wine, and a host of other things, differ due to their highly subjective nature. Your palate and mine might not see eye-to-eye, if palates do such things. My rule of thumb is that any wine I like is a good wine.